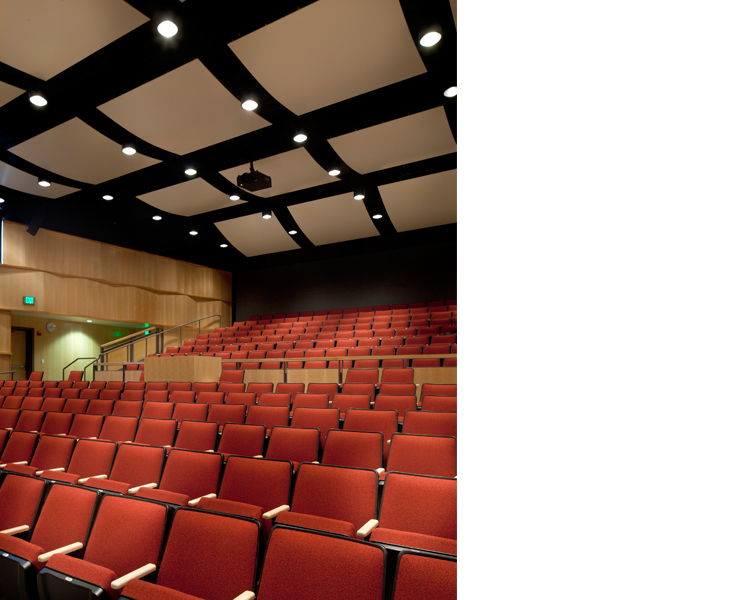 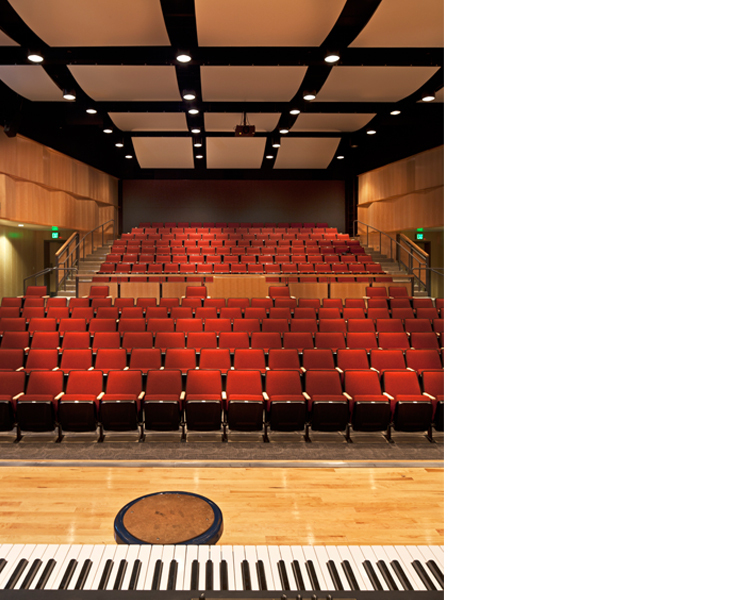 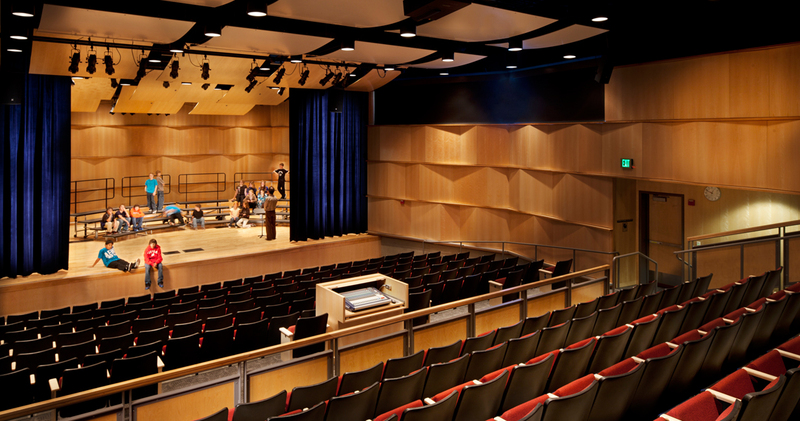 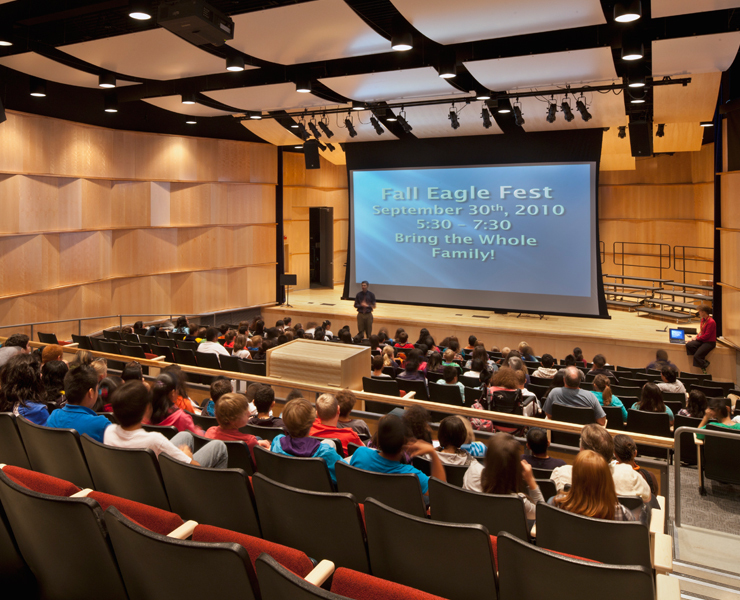 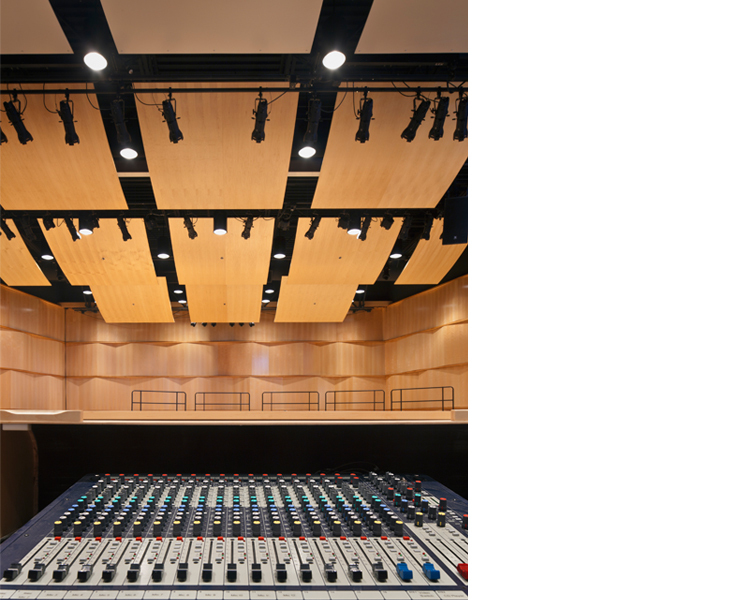 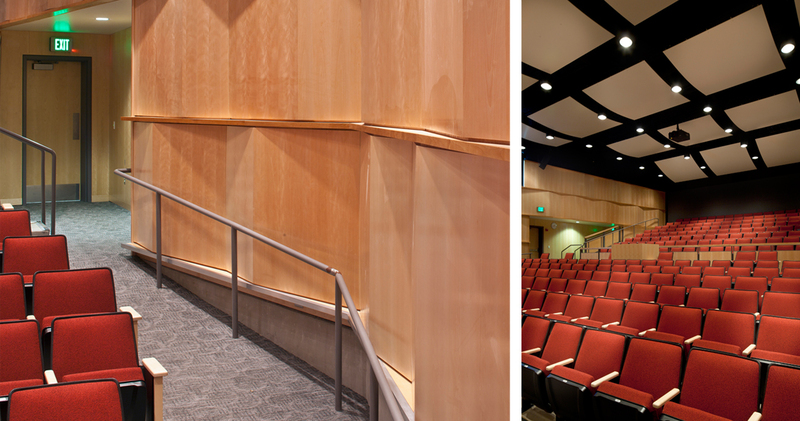 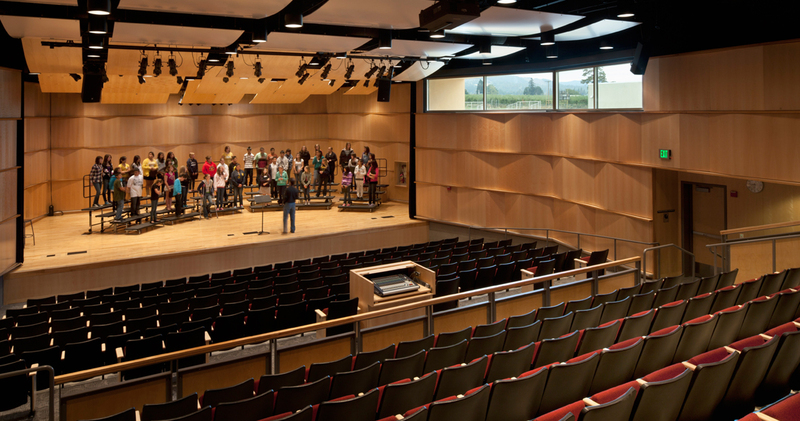 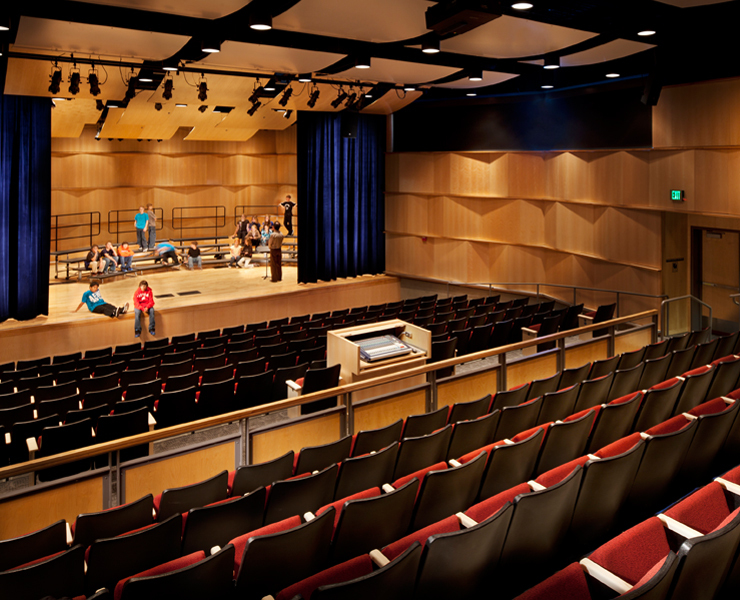 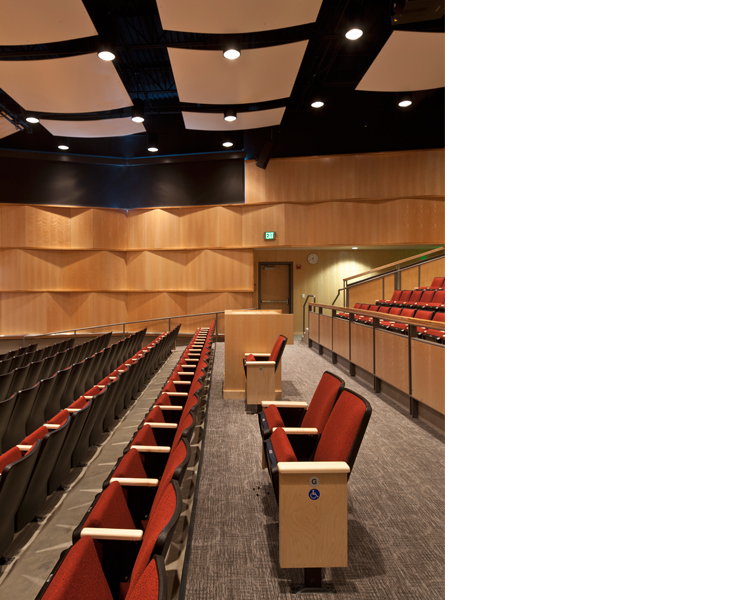 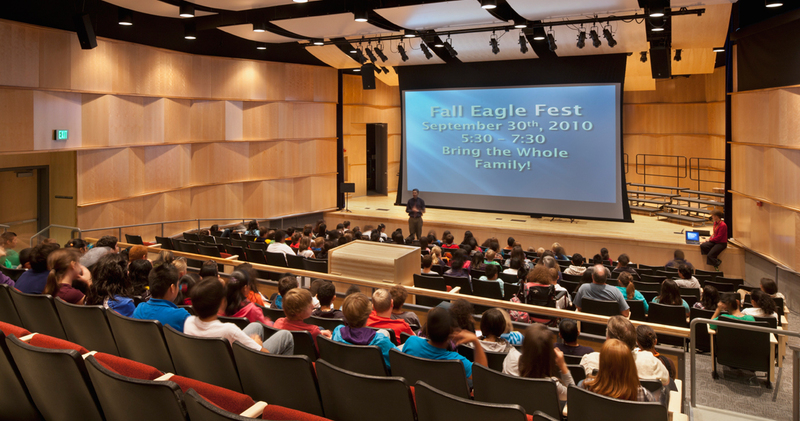 The new performing arts center, which seats 276, serves as the centerpiece for the school and surrounding community of Odell, near Hood River. 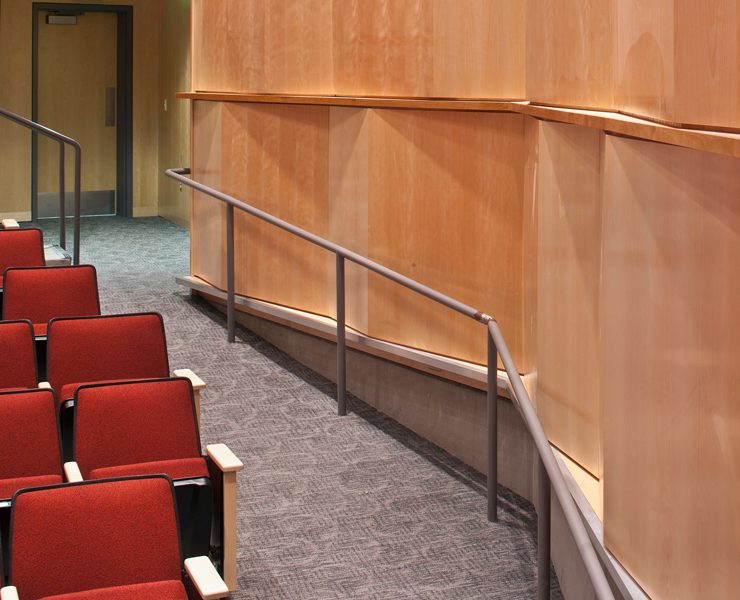 Renovations further supplement the school’s science and technology instruction. 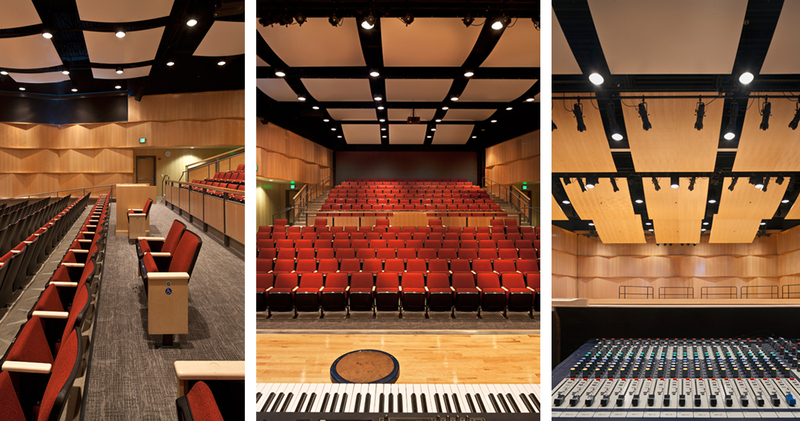 A conversion of the adjacent building’s home economics room, which had doubled as the music room, creates a state-of-the-art science laboratory. 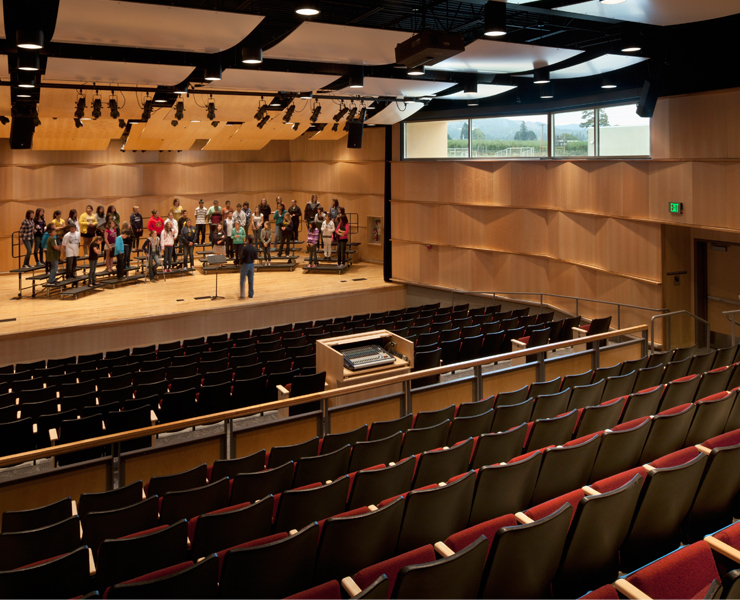 A new room is now devoted exclusively to the music and choral programs. 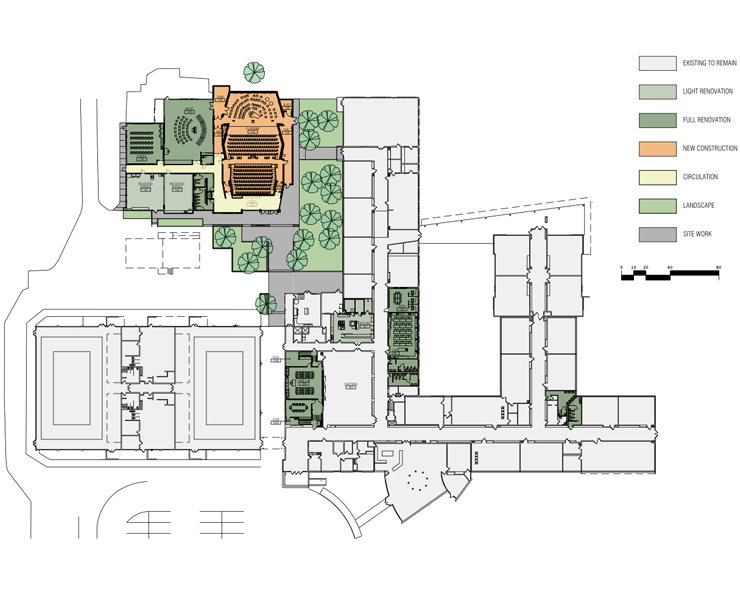 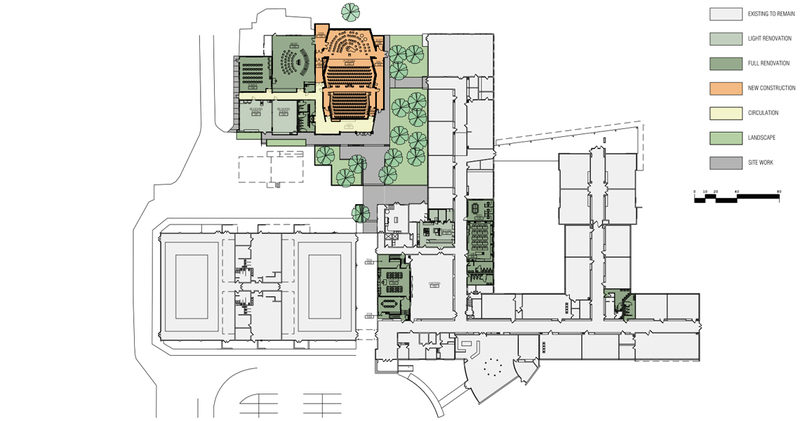 Other improvements include a new plaza entry to unify the site and additional classroom space.